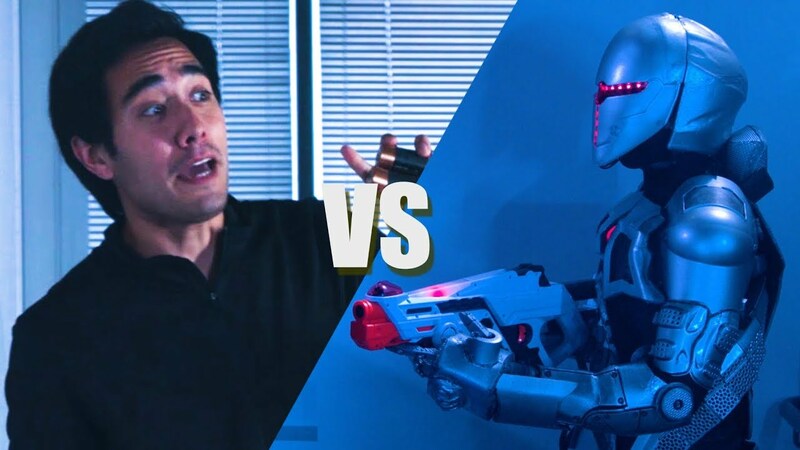 Zach King is on a rescue mission to save two of his team members from being converted into his enemy...robots. There was no way we were going to let our friends be turned into evil robots, so we decided to bring the battle to them! Special thanks to NERF for sponsoring this video.